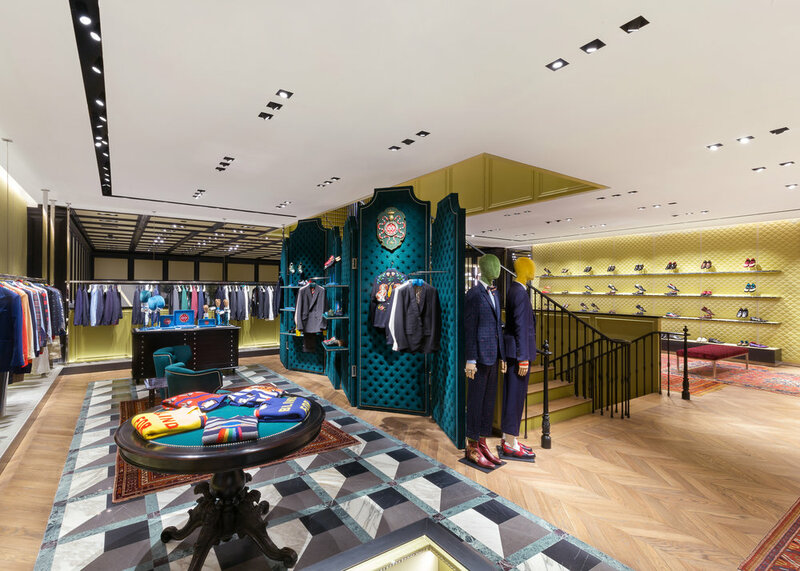 Gucci announce the opening of its new flagship store in The Dubai Mall Fashion Avenue extension. 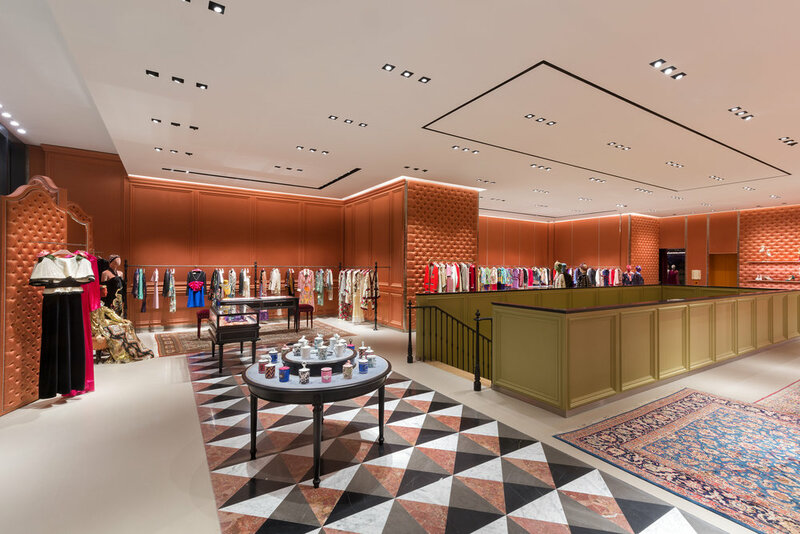 The store spans more than 1,000 square meters across three floors and houses a full array of men’s and women’s wear, shoes, handbags, small leather goods, luggage, silks, eyewear, jewelry and watches, and the newly launched Gucci Décor collection. 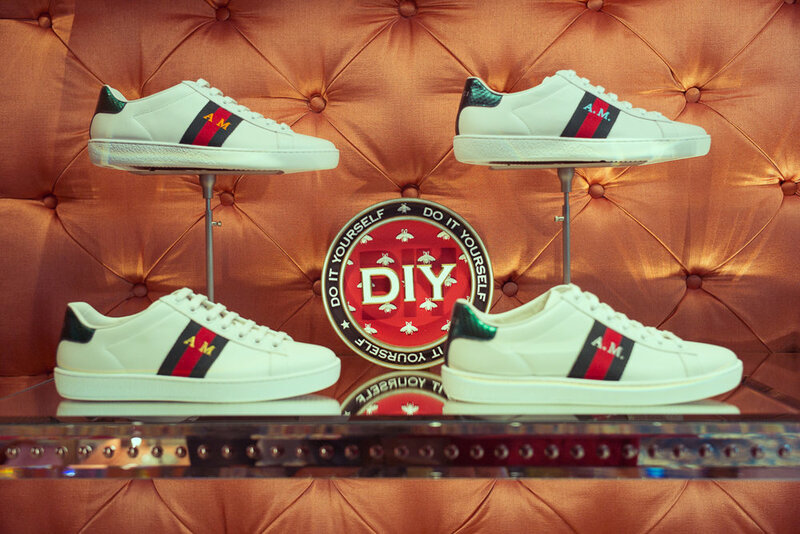 Also present for the first time is Gucci's DIY service, which allows customers to express themselves through personalisation services of selected products. Gucci DIY is an initiative perfectly symbolic of the new direction of the House, which promotes self-expression and individuality. The main entrance is accessible directly through the distinctive store glass façade in the Fashion Avenue extension and leads to an ambience that invites customers to feel welcome and relaxed. The interior design is characterised by its warmth; soft elements like velvet armchairs offset harder surfaces and industrial elements such as rivets. Contemporary luxury is suggested not only by the employment of beautiful and idiosyncratic materials, but also through a determinedly spare use of space. 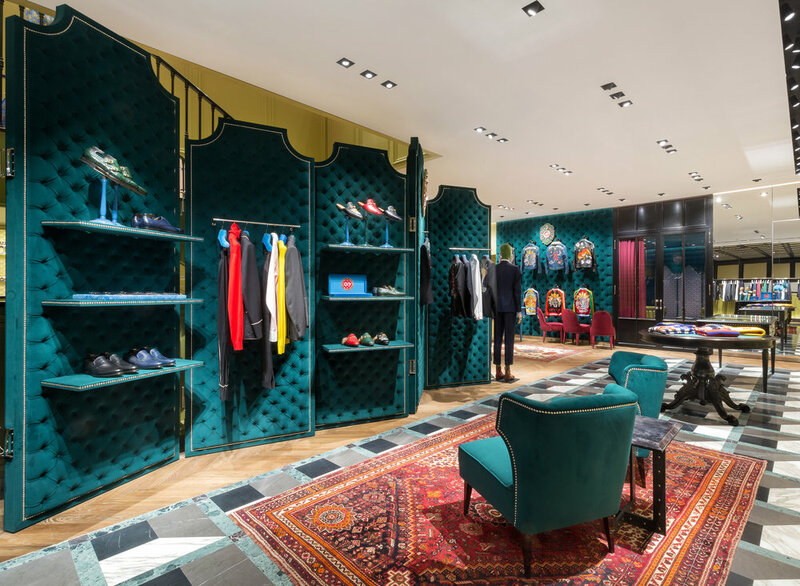 In keeping with the elegant and contemporary eclecticism that embodies Gucci’s collections, the store perfectly sees the combination of traditional and modern features juxtaposed with industrial and romantic components. The mood within the store is one of discretion, where understated drama is created by the surprising and unexpected combination of materials. A unique exclusive interior colour scheme is used, combining a willow green and shingle orange. Marble polychrome inlays produce decorative three-dimensional effects on the floors, while being harmoniously integrated with functional cement. Juxtaposition of this sort, where opposites forge a new connection, is repeated throughout: technical, mechanical display units contrast with the softness of the rich fabrics that adorn the rooms; metal plates with a burnished geometric pattern sit alongside carpets in cherry red and peacock blue; round tables offset rectangular ones; varnished iron wall finishes complement the grand wooden staircase which is a central element in the store interior, are featured on the floor. Also unique to this store are two one-of-a-kind marble mosaics, and plisse walls where leather goods are displayed. Fitting rooms are decorated in satin mauve for women and in velvet peacock blue for men similarly to the two unique VIP rooms, which create a bespoke client space. Throughout the store, one finds sumptuous chairs, while vintage oriental rugs are layered over each other for a textured effect. An outside street façade made of white and grey marble alternates with metal curtains, also exclusive to the store. 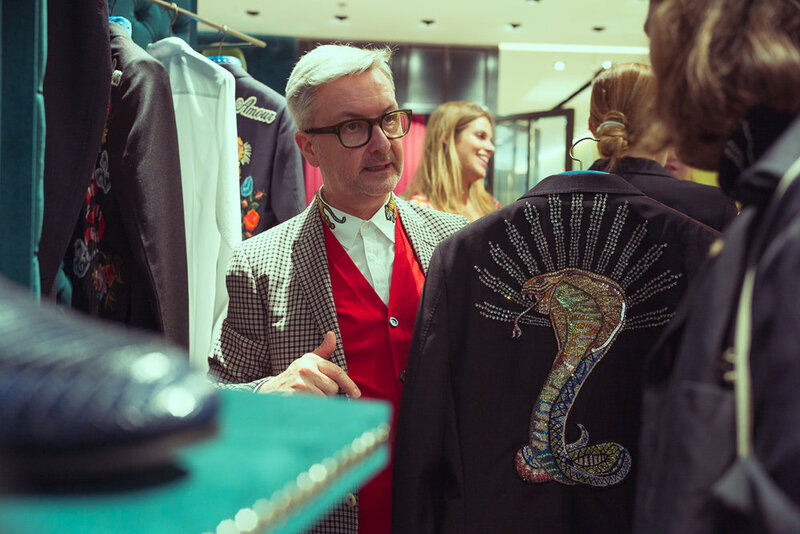 The result is a universe that entices, envelops and feels personal to Gucci.